Donations ($5-$20) to our hosts would be very much appreciated. Technology and people are becoming ever more integrated. What does this connection mean both now and when extrapolated into the future? This lecture will show concrete examples of human-machine relationships, human-robot symbiosis and psychological projection onto technology. Using both art and research, these investigations may point to patterns that indicate the future of such machines. Alexander Reben designs robots and novel interfaces to explore our evolving relationship with technology. He focuses on human-machine relationships, synthetic psychology and artificial philosophy. His artwork and research has been shown and published internationally . His recent interactive installation, Robots in Residence - a documentary shot and directed by robots - was showcased at the Tribeca Film Festival. He is currently the director of technology and research at Stochastic Labs, an incubator for sustainable creative design companies, where he is working on machine ethics and next-generation social robotics. He also is Founder and CEO of BlabDroid, a social robotics company. Reben is a graduate of the MIT Media Lab. Tools have long extended human abilities, both practical and creative. 3D printers promise to bring objects from the virtual world into the physical one, but common printers are limited to printing small objects. How can we use a machine that prints small objects to realize a creative vision of objects on a human scale? How do we program a machine to extend human creativity? 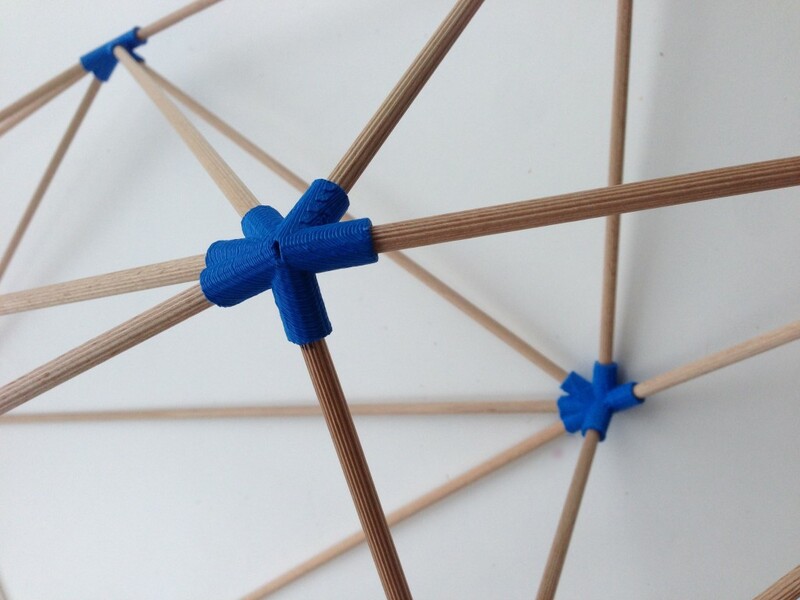 The Polygon Construction Kit (Polycon) helps you bring 3D models into the real world by making a 3D printed connector set. The final object can be much larger than the printing volume of your printer. As a toolkit for creativity, Polycon opens up the aesthetic form of physical polygon objects to artists, designers and creators. 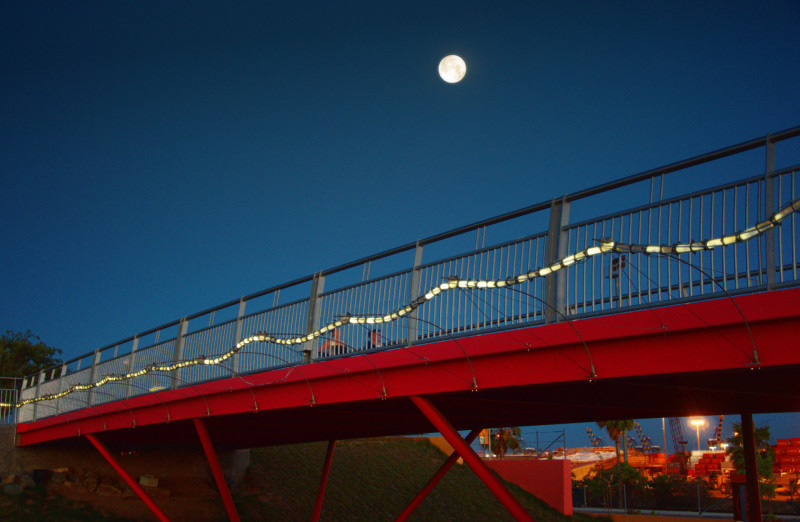 As a piece of software, Polycon acts as a bridge between the virtual world and the physical. This talk introduces the Polygon Construction Kit, and the artworks that necessitated its creation. Michael Ang is a Berlin-based artist and engineer working at the intersection of art, engineering and design. He creates technological tools for enhancing our understanding of the physical and ecological world around us, and for modulating social interaction. Michael's artwork has been exhibited at NASA for Yuri's Night, transmediale, Gray Area Foundation For The Arts, and Natalie Jeremijenko's OOZ. He is an organizer for Art Hack Day and contributor to open source projects. Michael envisions a world of humane technology focused on people and the environment -t he works he creates are examples in that direction. 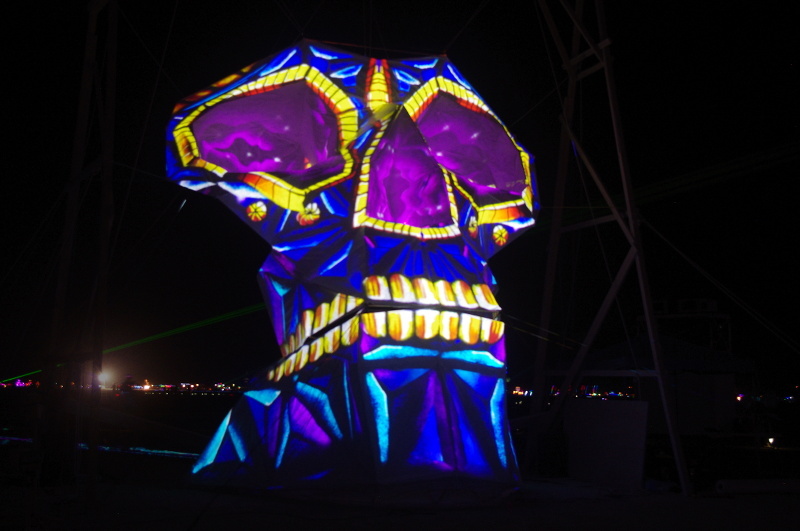 In 2014, with much fanfare, we set out to bring Shogyo Mujo, a 30-foot projection mapped skull, to BurningMan. Not everything went as planned. But with a few fundamental on-the-fly design changes we turned a veritable pile of rubble into a great underdog story. Josh Silverman from WorldStage gives the inside scoop on the projection and mapping technology behind the piece, and details on how it all went down. Josh Silverman is the Director of Technology for the WorldStage Lab in San Francisco. He brings over a decade of design, audio/video integration and software development experience to an industry increasingly focused on combining these disparate fields to create innovative systems and experiences. Oliver is interested in the hidden infrastructures that support our world. the implicit hierarchies, natural and manufactured that create the reality that sustains us. His projects attempt to identify and recast these forces through technology and alternative sensual modalities. "a monthly meeting of artists (sound/image/movement/whatever), designers, engineers, students and other interested parties from the new york area who are involved in the creation of electronic art (in the broadest sense of the term.)"